This week's header image comes from blogger and photographer Mike Burnside. Mike took this image of a once-sleek and ultramodern pay phone while on one of his rambles through the Pennsylvania countryside. ("I like the sort of faux space-age football helmet with the rural decay," Mike notes.) The image caught co-administrator Michelle's eye, who secured permission from Mike to use it as a header image. Unlike most header images, the photo for this one has not been cropped, but simply framed in a way to make it fit the header image dimension guidelines. The original can be seen here. 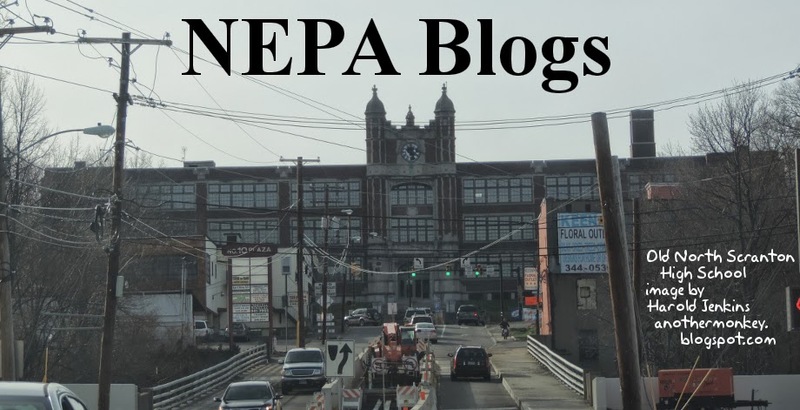 Do you have an image from NEPA that you'd like to have used as the NEPA Blogs header? Send it to us at nepablogs@gmail.com. Our PA Live! Blog of the Week this week is Sweet Caroline's Corner (http://www.sweetcarolinescorner.com/). "Life is Sweet!" That is Caroline's motto, and is right at the top of her blog, Sweet Caroline's Corner. Since November 2010 she's been sharing recipes (which she promises to be delicious and easy! ), film reviews, DIY projects, parenting tips, and glimpses of her life as a wife and mother. Gorgeous photos illustrate nearly every post - mouth-watering images of completed recipes, beautiful images of DIY projects, and joyful images from Caroline's home and family life. Sweet Caroline's Corner is a sumptuous feast, with something to satisfy every appetite! Caroline has built Sweet Caroline's Corner about things she loves, things she is passionate about. What about you? Do you care enough about something to be able to create and maintain a blog about it? If you do, give it a shot, and let us know about it so we can link you on NEPA Blogs! Across from the Route 6 entrance to the Viewmont Mall in Scranton is the Fashion Mall, a small-ish strip mall holding a surprisingly large number of stores. Once upon a time the most remarkable things about this mall was the waterfall that flowed down from the mountainside into which the mall is built just behind some of the stores and was easily visible from the parking lot. In the quarter-century since then, though, things have changed. 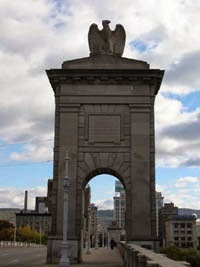 The mall appears to have expanded, the cut-out into which it is built seems larger, and the falls seem to have been rerouted and rotated ninety degrees. They are no longer visible face-on from the Fashion Mall parking lot, but can be seen from the entrance to the Viewmont Mall. The best place to see the falls - aside from actually climbing them, which two guys did as I was trying to take this photo - is from a grassy area on the side of Route 6 in front of the Firestone at the Viewmont Mall. This past Saturday I set out to photograph a few things while I was spending time in the Scranton area, including the falls. I parked my car behind Firestone and climbed the hill - there is a short, steep way, or a long, shallow path - and set myself up by a small tree. I attracted more than a few odd looks from passengers in passing cars, most of whom probably didn't even realize the falls are there. 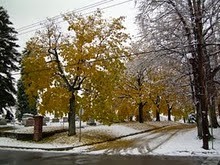 Is there some feature of NEPA that you've captured in a photo and want to share with everyone else? Send it to us at nepablogs@gmail.com and we'll use it as soon as we can! Our PA Live! Blog of the Week this week is #PoundSign (http://hashtagpoundsign.blogspot.com/). #PoundSign (pronounced "hashtag poundsign") is a personal blog from Sabrina Hannon. While it fits into the category of "Life Blogs", it covers a broad spectrum of topics, including feminism, dyslexia, eating disorders, and whatever else Sabrina chooses to cover. #PoundSign is a relatively new blog - Sabrina's only been posting to it since February 2014 - but it's already packed with posts. Sabrina is someone with something to say, and she isn't afraid to say it. Blogging is a way of making your voice heard in the global conversation in a form that is far more permanent than ephemeral platforms like Facebook or Twitter. Do you agree with what Sabrina says on #PoundSign? Or maybe disagree with her? Don't keep it to yourself - make your voice heard in a blog all your own! Temperatures flirted with the eighty degree mark this weekend, followed by heavy rains during the day Tuesday and snow Tuesday night! Welcome to Spring, NEPA style! Andy Palumbo (http://andypalumbo.blogspot.com) took this picture just a few weeks ago at Lackawanna State Park. Remember when we're deep in the depth of Summer just how brutally cold this Winter was! 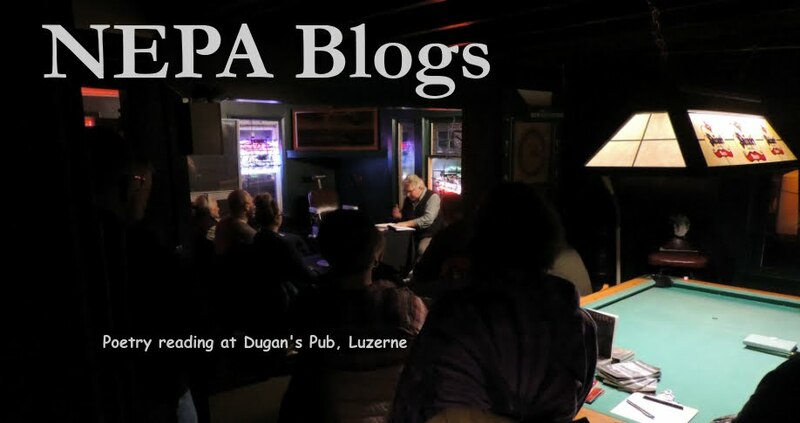 Do you have a photo we can feature as the header image on NEPA Blogs? Email it to us at nepablogs@gmail.com. PA Live! Blog of the Week: Does the Poet Choose to be a Boat? Our PA Live! Blog of the Week this week is Does the Poet Choose to be a Boat? (http://isthepoetaboat.ghost.io/). Laurel Radzieski of Scranton has long been working her craft as a poet, presenting her works throughout Northeastern Pennsylvania and surrounding areas. In recent years she has formalized her poetic endeavors by entering into the Master of Fine Arts in Writing program at Goddard College, where, according to the biographical tag on each of her posts, "(h)er current work examines how relationships within communities shape communication efforts and responses." In her blog Does the Poet Choose to be a Boat? she has been presenting musings on the world from the point of view of a poet since January 2014. While her posts cover a broad array of topics, both the point of view and the style of presentation of Does the Poet Choose to be a Boat? can be daunting and difficult to decipher. Like so much of poetry, understanding of each post depends on the individual reader, and comes from repeated readings and reflection upon how the post relates to the reader. This is by no means an easy read. But it is, ultimately, very worthwhile. Those who invest their time in reading Does the Poet Choose to be a Boat? and deciphering the meaning of the posts will find their efforts richly rewarded. I received an email from Andrea Kimes, one of the founders & contributors to the "Pocono Talk" blog. Pocono Talk is a website where you can discuss everything from the best places to eat, to the best weekend activities to whatever is going on in your everyday life. 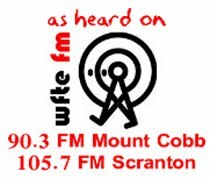 Whether you live in the Poconos, are visiting on vacation, or commute to New York or Philly, Pocono Talk has something for you. We encourage positive discussion and provide you with hundreds of photos, videos, business and community listings so even if you've lived here for 30 years you may still find something new. This is one of the more comprehensive guides to the Poconos that I've seen. 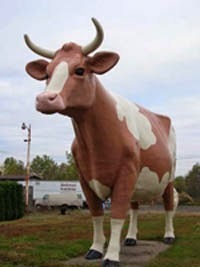 If you are looking for something to do in the Poconos, this is the website for you! It's that time of the year again....time for The Weekender's Readers' Choice awards! We would be honored if you voted for NEPA Blogs for the best local blog category. You may only vote one time and must vote for at least 25 categories. I'm sure there are several other local businesses and talented folks that are deserving of winning that you can think of to fill the other 24 categories. *Hint Hint* You can vote for our friends at NEPA BlogCon for the best annual event, then you only need to come up with 23 categories! Hurry! The contest voting ends at 5pm on April 16th! We live in a world powered by electricity. Whether that electricity is generated by burning coal, natural gas, nuclear fission, wind-powered generators, or enormous banks of solar panels, it has to be transmitted from the places where it is produced to the places where it is consumed. Andy Palumbo (http://andypalumbo.blogspot.com) captured this image of two generations of power transmission lines running parallel to each other in Clarks Summit. NEPA abounds with talented poets and authors, and Amye Archer is another fine example. A proud graduate of the Wilkes University creative writing program, Amye Archer uses The Fat Girl Blog to write about family, motherhood, writing, moving, not moving, and many other topics - including her relationship with weight. The Fat Girl Blog isn't just about any one thing. It's truly a "life" blog, reflecting the many facets of Amye's life: posts on parenting next to posts on weight issues next to poems that capture thoughts and emotions both fleeting and eternal. Have you ever struggled with some aspect of your life? Known the joys and heartbreaks of motherhood? Faced disappointment after building your hopes up for a major life change? Have you ever wished for a way to express what you've experienced? Read Amye Archer's The Fat Girl Blog to see one way that you can do this. And maybe consider starting a blog of your own! As feared, March this year came in to NEPA like a lion and went out like a different lion. Actually, it came in like a drunken thug who'd outstayed his welcome at the bar, and went out like a drunken thug who'd outstayed his welcome at the bar and was finally getting kicked out, and decided to get in a few last licks on the way out, and who might pop back in later to make everyone's life miserable, just out of spite. Exhibition quality prints available at a reasonable cost. 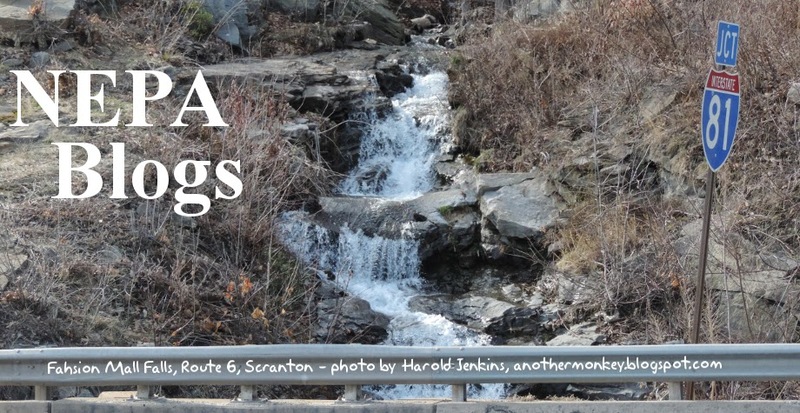 If you have any photos that capture the special beauty of NEPA, please send them to us at nepablogs@gmail.com and we'll use them as the blog header for a week. Thanks! Our PA Live! Blog of the Week this week is Justjacq (http://www.justjacq.com/). Justjacq features fun, food, and fashion on a budget, served up by Jacquelyn since June 2011. This site is full of great stuff - from fitness and budgeting advice advice to fun giveaways to fashions modeled by the blogger herself. You don't have to spend a lot of money to be fashionable, eat right, and keep in shape. Justjacq will guide you through the complexities of everyday living and help you make sense of your world - fabulously!